Dried Whole Red Reishi preparation: it simmer 5 whole reishi in 8-10 cups of water for 2-6 hours, the longer you simmer the stronger the tea, as well as the more you use will make a stronger tea. The unused tea or broth can be used for 2 days after boiling, refrigerate the unused portion. 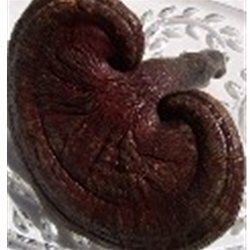 Make as tea, or add to soup, or use the liquid in coffee.Here is a link to how to make an alcohol extraction, you can also use the red reishi extract powder.